I only get hooked to internet for a year now. I had not actually realized its importance earlier although I had been a computer college instructor for over a decade. But personal circumstances forced me to try internet and all its wonders and lapses. Then, I began my blogging passion, hooked with online buddies, searched the net for all the resources I need. There are simply a number of free web directory that anyone can check wherever he is and regardless of what he needs. Since I am holding an administrative job, I shall be using more the resources from internet. Since my job is business-oriented, articles on management, marketing and organizational development among other important issues must be thoroughly handled. I do check a list of web directories like business web directory to help me draft my business proposals and plans. And since I only search through search engines like Google or Yahoo , it is easier for me to track resources. Somehow, web directories from Yahoo and Business do help me and other online readers and lookers. We simply have to validate the data that we get from the net that it is important to counter check the right website address and if the authors are credible enough. There are instances when anyone can just write about anything. Thus, we have to verify these facts before we can use them as reference to whatever we are writing. Hard copy of books still does complement online resources. It is just nice to know that related articles are grouped under similar categories for easy online searches. But, I still do need sites that can accurately match my queries. Sometimes, when I search for something, only certain keywords are met and the rest are left unconsidered. With Internet, it seems like I am just in very wide worldwide library where anything that interests me can be at my very reach. Today, distance and technology barriers become all vain because of net. My New Job is Killing Me! For over a decade of being a teacher, I decided to look for a non-academic work. So, as soon as I was hired to be a Project Officer for Chamber of Commerce, I faced it with vigor and hope. But, just like the adage in Spiderman, "great power comes great responsibility," I am indeed piled with a number of proposals, meetings, plans, papers and more papers. waaaaaaaaaaaaaah! The good of this new job is that I get to meet a lot of people, the nice and the not so nice ones. hahahhaha! I dont know how long I will last since I am still in the transitory state but if I am dragging myself to deathbed earlier than expected, I might as well drop it and concentrate on my business. Your Expert New York Cellulite Removal! Getting a tattoo is a very exciting thing to do most especially for teenagers. But getting it removed can be many things. There are a lot of reasons for possibly wanting a tattoo removed. The positive element of tattoo removal is that you are no longer burdened with a tattoo that you seriously regret or it could be, the tattoo is holding you back from getting the job you want. Whatever reason you may have that makes you decide to have your tattoo removed, you need to get an expert new york cellulite removal . Morris Westfried MD PC is currently located in Brooklyn, New York. He has more than 25 years of experience, he is a former Chief of Skin Cancer at NY Medical College and he is listed in How to Pick the Best Doctors in NYC. You might be wondering how the treatment like does. First, the tattoo is cleansed and photographed. The laser is hand device glides over the surface of the tattoo. The size and color of the tattoo determines the length of treatment time. So, the bigger the tattoo, the longer the treatment time you have to bear. A tattoo that is roughly the size of a quarter may take approximately 3 – 5 minutes to treat. For some patients request a topical anesthetic cream to be applied prior to treatment, minimizing the stinging effect of the laser or intense light. But many patients tolerate treatment well without anesthetic, and report treatment as feeling similar to no more than numerous rubber band snaps. An ointment will be applied as following treatment to keep the area moist and then it is covered with a protective dressing. If you are thinking of getting rid of your skin problem, call or visit New York Cellulite Removal and get the service that you need. We would like to inform everybody that today is the last day of submission of your Blog Slogan Entry. My Husband Just Got hired! I was so happy yesterday that my partner was hired at RD Realty as Autocadd Operator. There will be some changes since he will start his work today. Starting today, my father will be the one who will take me to my work and my partner will be the one who will take the kids to their school. My mother will just commute and so as Tammy. If only Tammy knew how to drive, she can use the Van to take my mother to the store. Sis, better get your driving lesson now! We Need a Home Improvement! I really don't know if the typhoon Feria is really gone but it leave a traced in our home. Our fence had a slight damage and one of our windows was broken. Lucky because that was the only damage cause us by the typhoon. Unlike other cities, there were dead and houses were totally damage. My father is thinking of remodeling our fence. From a wood fence to a cement fence. If you are thinking of giving your home a new face lift and if you want a better house, all you need is a Rockford Remodeling. The only high quality Rockford remodeling contractor in Rockford area. They specializes in Kitchen and Bathroom remodel and/or updates, New windows, doors, storm windows, siding and soffit, Greenhouse and three season rooms, Handicap ramps, decks and fences and Garages, pole barns and additions to the house. Always remember that if you are planning to make some home improvement, you need to know the value of your money. So, you need to find the right remodeling contractor for the project. As soon as you find one, you need to talk with them what is best for your house. After finding the right remodeling contractor, you need to plan your remodeling budget. If you want total make over, then you need a home improvement loan. Conro Rockford Remodeling Construction is the most affordable remodeling contractor; they only offer high quality and dependable remodeling company. You can contact them at (815) 315-9149 if you have any needs. 31 Entries for Our Blog Slogan Contest! My sister Tammy and I would like to extend our heartfelt thank you to all the contestants who take part of our BLOG SLOGAN CONTEST! To our dear sponsors who make this contest possible, THANK YOU SO MUCH! Below are the 31 entries submitted to us by different bloggers. You can start picking your best bet now but you can still submit your entry before the month ends. Good Luck to all contestants and as promised, we will announce the winners on my 30'th birthday! Before I get to know blogging, I was living a boring life as a student. There was nothing much to do but go to school, come home to finish school works, watch tv and mess with my computer games. Since I started blogging, I wake up early to check my shoutbox and think of something to write about. I started making more friends online. Just by the thought of making a post, sharing what I can share and visiting my friends' blogs make me smile. 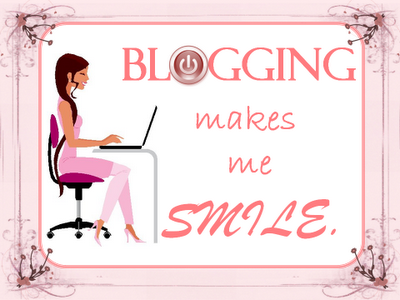 Blogging definitely can end my day with a smile on my lips. Happy blogging everyone! 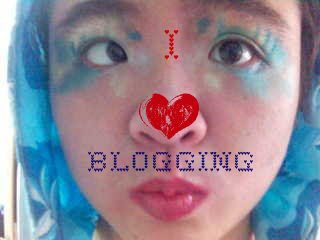 I heard about blogging about three years ago but just joined the "venture" about 5 months ago. 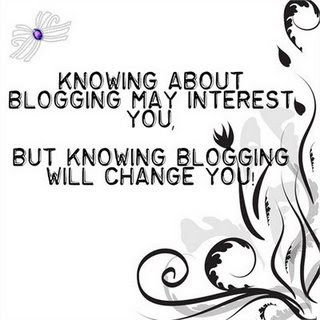 Knowing about it through my friends truly interests me but being a part of the blogging world is different. I can say, it changed me-my point of view in some areas of politics, lifestyles and cultures, it makes me more open-minded to the new trend of this hi-tech generation, boosts my self-confidence in writing and expressing myself and makes me more cautious and wiser in managing my time for Him, for my family, my teaching career and squeezing blogging into my hectic schedules...he..he..It's not easy but I enjoy every minute I spend on expressing myself and spreading the goodness of our Creator. 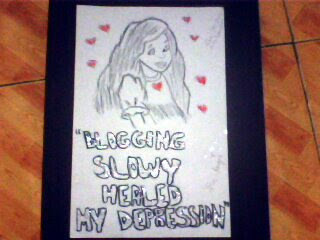 On the other side of the coin, there can also be a negative change- being addicted to blogging!...LOL! It almost caught me last summer but thanks goodness that it was easily resolved before our class starts last May. Blogging truly helps in spreading knowledge. The new gadgets, fashion, discoveries, events , and new technology from other side of the world will be made known globally through blogging. The expertise, and skills acquired by a person through experience or education, the theoretical or practical understanding of a subject, facts and information or awareness or familiarity gained by experience of a fact or situation of one person will be transmitted to others and may help expand ones thoughts and perception in life. The person's confident understanding of a subject with the ability to use it for a specific purpose if appropriate is also being shared to others through blogging. 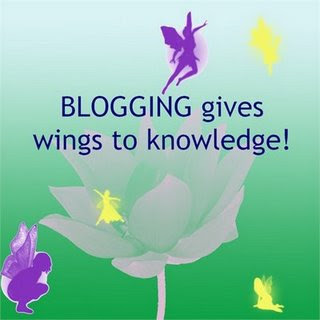 What else do you think on why blogging gives wings to knowledge? As a blogger, you are as well contributing information to the World Wide Web whether it is about yourself or anything that interest you in a way of writing it in a blog site. It is like voicing out everything you have in mind and heart or giving helpful information to the thousands and billions of readers online in a form of writing having yourself as your own editor. Your readers are therefore your listeners. You are then heard by many all over the World Wide Web. Journey of blogging with creative mind. When comes to blogging, I always need to think of what to write and what to say. There is an easy way by note down what you have in mind on the paper or draft. I chose this slogan because for me all the written ideas, experiences, opinions and stories in blogging is a deep sharing of one's self/life to unknown readers whom the writer believes can be blessed ...because the writer cares for them. This contest is based on unique slogan. My entry slogan will be Live. Laugh. Love. I think if you are going to start blogging you got to be live, laugh and love what you do! No kidding. I know in life we always have to go through many path but we are never alone. Everyone has got to go through it. My sister has moved out of her place and she decided to live the rest of her life with things she loves to do. I am just like her doing what I love to do now right now, that is blogging and taking part in contest. This contest made me think about why I started Blogging in the first place. The last contest that really got me thinking was that of Lainy's. This is my first entry to this wonderful contest. I did the slogan in Taglish. 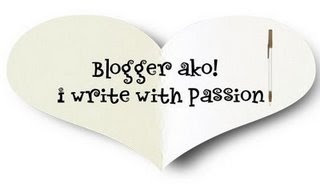 Tagalog and English - to say I'm proud that I'm a Filipino and I'm a blogger. I'm not sure if it's unique though. Why my slogan is blog about life? From the banner, you can see television, plant, people, clock, present, gear, music note and cat. (Left to Right). What are you doing in your leisure time? Planting? Listen to music? Or you are you watching some awesome TV show in television and want others to know how amusing the TV show is? Are you interested in tech gear? Why don't you share your experience, though or problem by blogging? 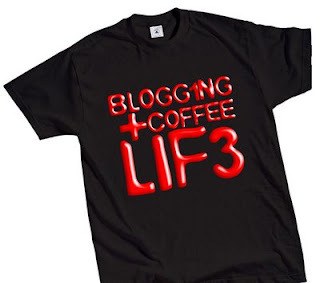 For me personally, whatever your blogging is related to life. Life to effect other people or life to effect yourself so that you can improve yourself to become a better person. My morning always starts with chatting to Terry online and while doing that I multitask, it either, I am writing an entry to my blog plus blog hopping, dropping entrecard, browsing and sometimes watching TV, cooking, bathing Faith and etc. Can you imagine that, doing those things in one time? Well, I can do that maybe because I am used to it and I get bored if I only browse one site and doing nothing. So blogging while doing some other stuff is my usual normal thing. So if you have my YM and you received a message from me that is so unusual, don't get me wrong I am just blogging and multitasking. 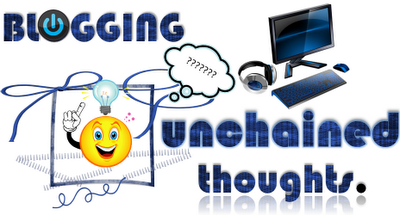 My slogan is "Blogging unchained thoughts." Blogging indeed unchained my thoughts. 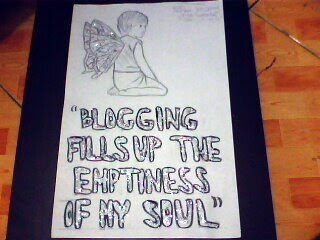 With blogging, I am able to unlock my mind and set my thoughts free. I am able to speak and yell my thoughts out not only to myself but to the thousands and billions of bloggers or readers all over the world. 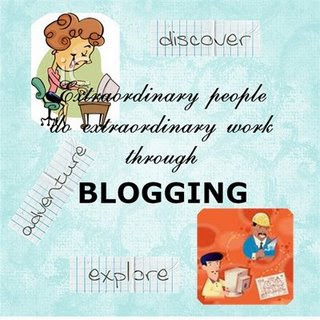 I am certain that blogging have unchained the thoughts of those thousands and billions of bloggers too, not only me. Now my slogan for the contest is Blogging is Blessing, it is a blessing that we are able to blog because some of my friends are not able to blog and do not know how to blog. 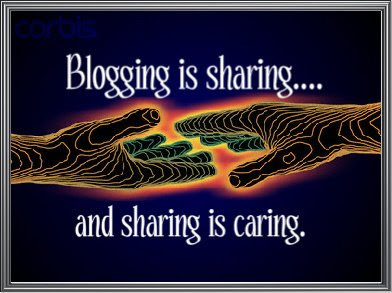 Think of how lucky we are able to use the Internet access and computer to blog and share our blogs with the world. It is a great blessing to share! 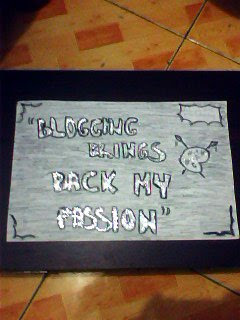 I chose this slogan as I believe that blogging is a personal freedom. It is the only way to talk without interruption. You can say what you want and blog how you feel. No one and nothing could stop you unless you don't have anything to say. You write because you have something to say and you write so you will be heard. Blogging takes you to new horizons stretching before you without any hurdles in your journey till where it may leads you. Actually this freedom invites you to Grow. It is like a seed sown in you and you cherish it in order to grow. While you keep on blogging, you water the seed in you till it grows to be a strong tree which soars against the winds , standing proud and satisfied. In Blogging, we sometimes forget the rules, we forget about being read and being published. We just write what we want to celebrate our life. This is totally freedom. A freedom that no money could buy and a freedom that can bring you fortune after all. Blogging is an act of giving, it means that through blogging we were able to give and share our personal experiences, our opinions, ideas and even our time and effort. Truly there is always a joy when we give, that is why we devote our time in our blogging career because we believe that we are indeed so happy of what we are really doing. When you give something in return you will be blessed right? So blessings just flow when we give our time in giving comfort to those who are in need, giving a pieces of advice to those blogger friends who need it most. Having them in your life is already a blessing that you were able to touch their lives in such a way. Friends like them are already a blessings aside from the financial one that we were receiving and enjoying! There is always a joy in giving. There is such blessing in giving, the giving of ourself to others. We think of what we can give rather that what we can get. This is the very essence of our way of giving and in doing so our life will be richly blessed! I wrote this slogan as I believe in the saying that states: " Out of the abundance of the heart, the mouth speaks" . It is the same with Blogging. I deem that every word that we type or scribble is a product of the voice from within you. Our psychological heart is composed of the following: our mind, emotion and will plus our conscience. Therefore every thought that flows out from within, every idea that dances while you hit the keyboard of your pc, and every single principle that you voice out in your post, all comes and spawns from the Heart. Your words are the breathings of your heart. Writing, blogging is the outlet for us to shout. 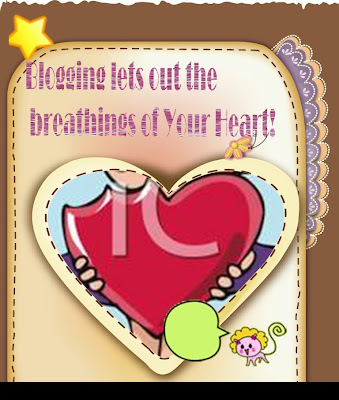 Blogging is the channel for your breathings to be out, therefore : BLOGGING LETS OUT THE BREATHINGS OF YOUR HEART! Once you're deeply engaged in blogging, every time is precious and you can't afford to waste a single minute faffing about. You use your spare time and even your siesta hours to blog because you have something to share and that time you spent with your readers are never wasted. This is how bloggers view their time. I made this slogan as I believe in the thought that it presents. The mysteries of the human life is one of the deepest mystery man is yet to unveil. I believe that when we start to use words we keep our mind alive. Blogging is one way of reaffirming our existence. When we build sentences our of words we start to unravel the mysteries of our existence. We write our own history and we reveal it to the world. Things that somehow are blurry to us will become clear as a glass when someone starts to write about them. Writing about people, things and other substance in this universe helps us understand them. And more so, your style of blogging is the emanation of your own being. All writing is communication; creative writing is communication through revelation--it is the Self-escaping into the open." 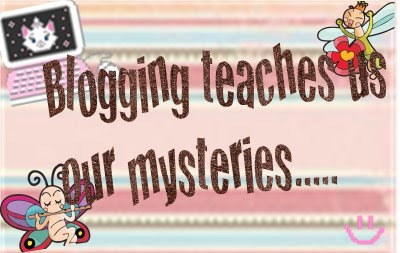 .. thus blogging teaches us our Mysteries! This is one easy way to tell people and friends that you can express your feeling in words and photos. Not just that you can even put on video, music's and your voice on the blog! That is the goodness of blogging! Whether you are happy or sad, joyful or teary, you can express them on the blog. 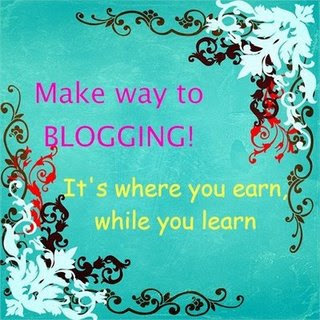 In blogging, you earn friends, experiences and even cash! While enjoying the "earnings", you're also learning various lessons in life from other bloggers, learning bloggers' terminologies, learning different cultures and lifestyles and learning to be YOU! I love this contest and I have come up with the slogan “Sharing Your Thought With The World”. This is the world of blogging everyone has got something to say, a better way to speak up is sharing your thought with the world on your blog! My slogan for this contest is "Blogging Connecting People", the reason we have blogging is because we want to stay connect with each another. 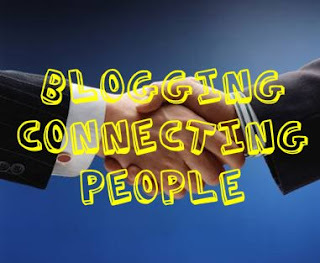 The fastest easiest way to connect with people is using blog! Stay closed with people with loved with updated info. My slogan for this contest will be "Blogging Open 24 Hours". I am sure you know that not every country having the same time zone. When we are sleeping, they are bloggers that are blogging. 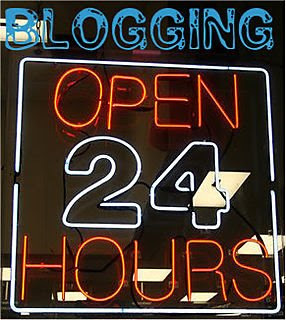 So blogging Open 24 Hours is just right for this slogan contest. 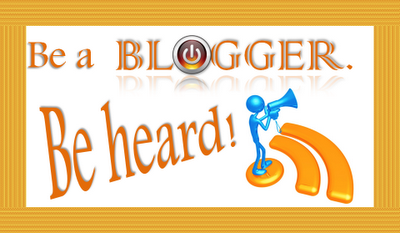 You can access to blog anywhere any time and to your convenient places that you feel comfy to blog. You can see the banner at top of this post! 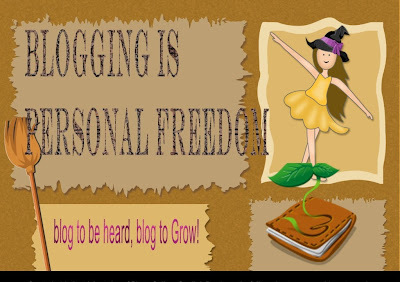 Yay, it is wonder to see blogging is available 24 hours for everyone. 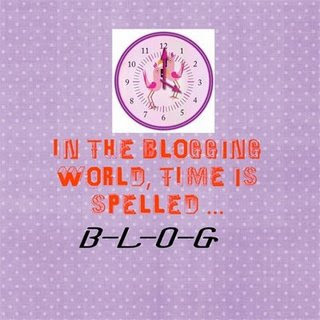 For people who love blogging like me and you! My Family Needs An Auto Body Shop! I just learned how to drive but still scared of vehicular accident. So, every time I'm on the road, I tried to be more careful. However, vehicular accidents may occur even to those who drive safely. Another family member was recently hit while he was in his stationary car by another vehicle. He suffered tremendous muscle sores and the car was badly wrecked. His car has stopped because it was a red light but another car has just hit his car and his car accidentally hit someone else car. It was not really a major collision but it causes big damage on his car. No matter how big or small the damage was, he will need a Houston Auto Body shop to handle the repairs for him. The incident was reported and there were people willing to testify that it was not his fault but on the other hand, he needs to file a claim with his insurance company. The damage was serious and he can’t afford to handle the expenses by himself. According to him, the insurance company tries to convince him to use a specific auto body shop. Good thing was he has the right to choose the shop he wants to use. So it’s ok for him to bring his vehicle to Houston auto body shop. He feels confident that he can trust Houston auto body shop for professional repairs, they will give a quality service and they really work to establish trust with their client. I don't know if he still wants to drive after the accident but I hope he will! These pictures were taken last father's day at Gumasa, Glan! It was low tide so we decided to have a photo shoot instead! I was quite a bookworm before when I was younger and was still in school. I spent a couple of hours reading books and working on school projects even at wee time in the morning. Also, I loved to read pocket books although, my father was all strict about reading pocketbooks. Consequently, I read while the lights were out or when their dim. I experienced the same scenario when I pursued my computer degree that I spent hours working before my computers that I could feel my eyes strained with lack of sleep and fatigue. I was getting strings of headaches and vomits that my mom decided to have my eyes checked for eyeglasses. I wore my eyeglasses but only for a short period of time since I found them too cumbersome and geeky. However, when I started teaching, I experienced some neck pressures and blurry vision especially from farther distance. I was then diagnosed of nearsightedness or myopia. Myopia as defined by wikipedia.org, occurs when the eyeball is too long, or the cornea is too steep. The opposite of this is farsightedness or hypermetropia where the cornea is too flat or the eye is too short. Studies show that myopia can be acquired through genes or races where it is prevalent among Asians. Further, there are theories that connect environmental factors and lifestyle with myopia. Also, there are arguments between relationship of myopia and education and IQ. They say, those with myopia have 7-8 points IQ higher than those without myopes. Preventions and control may include wearing of Prescription Sunglasses , lenses or surgery. The good side of myopia is I don't have to put on an Eyewear for closer reading or viewing. It is however, important that due medical screening shall be made so that, myopia or otherwise, can be duly addressed that total vision impairment can be avoided. I stopped teaching already but I recently acquired a new job that requires me to read more documents and to work on my computer. And since I am no longer younger, my vision is getting poorer. I may eventually put on a permanent eyeglasses. Photo Shoot With My Sister Tammy! After the Kasalan sa Gensan exhibit, we went straight to our store. I Am Looking For A Cash Loan! I recently resigned from my job as a college instructor. Now, I work as a project director of Chamber of Commerce and things have change. It is a challenging job for me but somehow I feel the stressed. I was given 6 months to handle the project so, it’s going to be a do or die! But just in case, things won’t work out. I am thinking of managing our own business. Right now our boutique is doing just fine. My sister Tammy who is a full time mom is the one taking care of it for me. I know she is into fashion and I trust her business skills. But on the other hand, I am still looking for a cash loan to sustain all the requirements and equipments needed to open a food cart business. My husband and I have a savings to start off but I think it will not be enough. That is why I need a cash loan for emergency cases. I think I can use the car title of our van to avail a cash loan. A friend told me that I can use our car title to qualify for the Car Title Loan. If you are in Hayward, you can check on Auto Title Loans Hayward and if you are in Freno, there is also a Auto Title Loans Fresno With four easy steps, you can apply online or call, get approved instantly, get your money in just 1 hour and you can enjoy your cash! Kasalan Sa GenSan Wedding Fair and Exhibit! My classmate from college, YOURS truly and Tammy! They are one of the exhibitors! Tammy, Sir Avel of Bariles Republic and ME! I'm almost done with my free make-up trial! Quick Service For Your Home Improvement! Are you planning to add a new room in your home or thinking of adding a new space? All you need is Miami General Contractors. Miami General Contractor offers an excellent quality design and construction services to both commercial and residential properties. They have been one of the most reliable residential contractors and remodeling experts in South Florida. 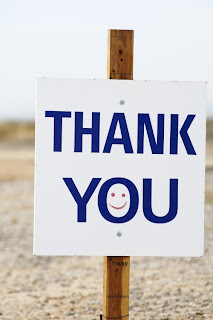 Atem Construction Inc. has left a good footstep to many of their happy and satisfied clients. Their clients are happy to be a reference and more willing to explain the benefits of choosing Atem Construction Inc. as their contractor. They will provide the best solutions to your home improvements and construction concerns such as custom homes and room additions, patio roof construction, garage conversions, kitchen and bath remodeling. The best thing about them is that they take charge of the architectural, engineering and construction services all at once to cut your expenses and deliver projects of superior quality and style. They will leave you satisfied and worry-free. They specialize in additions, Architectural Drawings, Bathrooms, Bathroom Remodeling, Baseboards installation, Carpentry, Ceilings, Concrete, Concrete Fence, Commercial interior build out, Crown molding installation, Custom Contractor Work, Custom Doors & Windows, Custom Home Construction, Custom Home Remodeling, Custom Addition, Deck construction, Design, Doors installation and a lot more! My Sister Tammy and I! My sister Tammy and I got nothing to do but have fun infront of the camera. Pose with our flirty look! Your Next Nature Oversized Painting! When my sister and I opened the boutique, we wanted to make sure that it will be appealing to the customers' eyes. We are thinking of adding some personal touch like paintings and pictures. Four Seasons Painting came into my mind first but we can't find one! I decided to browse for Japanese inspired paintings, Nature theme paintings and oversized paintings. My eyes lay on the same paintings and it belongs to Ford Smith Art . I made my research and I have learned that his arts were influenced by his childhood experiences growing up in Japan. He is a son of American Air Force serviceman developed an appreciation of the Asian aesthetic under the nurturing eye of an elderly Japanese painter. He finished his degree at the University of Mississippi with a BFA in painting. After he graduated, he moved on to Atlanta, Georgia where he realized a natural talent for photography. Late 70's and 80's he established his reputation as Atlanta's premier fashion and commercial photographer. It was in the late 90's when he finally decided to go back in painting. He believes that his return to painting deserved a 100% dedication; he sold his photography business and never took another professional photograph. He traveled the world and seeks his inspiration. After exploring different painting styles and themes, he found tremendous fulfillment creating contemporary landscapes conjured from the stunning horizons witnessed during his travels. 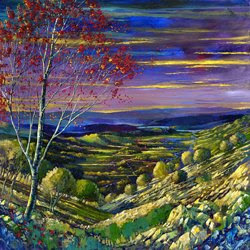 Ford Smith truly has amazing hands because he never paints from a photograph. He enjoys the freedom and creative abandon to see where an impulse might lead. You should check out his works online or you can visit his art gallery in Los Angeles. I just came from a 7-hour road trip travel to and fro Kidapawan City for the Regional Development Council Meeting of Region 12. I represented my boss who was out of town. I got to meet and know different personalities both from the government local and national agencies and the private sector. I was all overwhelmed by their presence but I did get enlightened of some concerns of the government and how the private sector can help. I just feel so dead and tired. By tomorrow, I shall consume the day with another meeting and proposal preparation. I wish I can have a good body massage to help me be more relaxed. hahhaha! More travels are expected of me in the coming days. Gosh! hahhaha! my sisters decided to watch the TM Astig Fest at KCC Mall of Gensan. We arrived like almost 7pm but it was already 9:30 that we decided to go home. We got tired waiting for Parokya ni Edgar! With my sister Tammy and our make-up artist! Electricity Makes Our Lives Comfortable! I Am Playing Billiard Game Online! 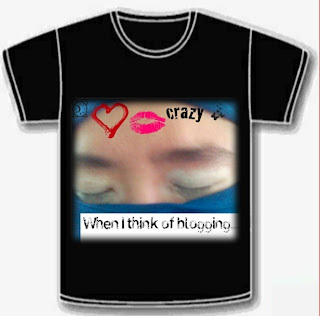 T-shirt Design For Our Blog Contest! Get The Wright Move That You Need! The Continuous Existence of Jewish People! Smartest Way for My HVAC Needs! Chat Room For Plus Size Women! My New Place to Make Friends! The Hardwood Flooring of My Grandparents! I Am No Nurse But I Like This!